…or anything else that matter, I had an awesome weekend to say the least. I reached Chennai Saturday morning after a particularly disconcerting bus ride. 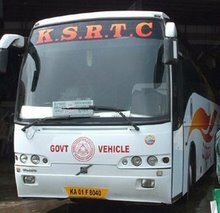 The bus was supposed to be a “special” bus from KSRTC (Karnataka State Road Transport Corporation) and the fare was 800 instead of the usual 500. It was supposed to be a Volvo bus with air-conditioning and was supposed to reach Chennai an hour early than the other buses. The bus was supposed to depart at 10:43 pm. There were 60 people scheduled to travel in the bus, and we were waiting with our tickets in hand at the designated platform, watching the 10:30 pm bus arrive and depart, the 10:45 pm bus arrive and depart and finally, even the 11:45 bus arrive. There was no sign of the “special” 10:43 bus. Someone got agitated; someone else called the cops and brought a couple of constables to the spot and started accosting everyone sporting a KSRTC uniform. The cops were pleading helplessness and the KSRTC men were pleading ignorance. I was standing there among the crowd, feeling an unrealistic sense of amusement creep over me. “This isn’t happening,” I said to myself. “I must be dreaming.” I pinched myself quite hard and let out a surprised yelp of pain, drawing strange looks from the angry mob. Finally, the “special” bus did arrive and we all got in, praying that no one beats the driver to death. An uneventful journey later, I stepped out in Chennai. I was scheduled to attend a workshop on visions and entrepreneurship on Saturday and Sunday, catch the Opeth concert at the IIT Madras fest – Saarang ’09 – meet bloggers from Chennai briefly on Monday, catch an early bus back to Bangalore and meet Shefaly who was in town, and finally, go home and catch up on some much-needed sleep before heading back to work on Tuesday. That was the plan. The workshop was quite fascinating and enlightened me on a lot of things. 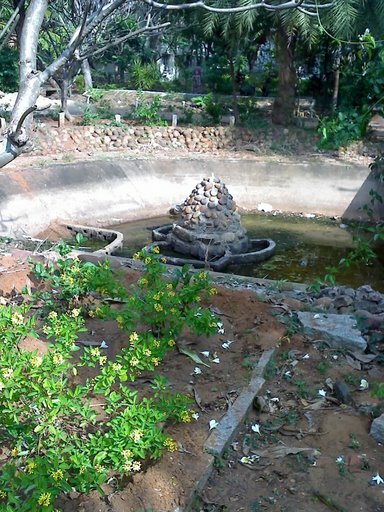 A residential workshop held in the quaint Uthandi Ashram in Chennai, I can’t decide if the peace and quiet were more enthralling than the peacocks and the private beach. The Opeth concert was mind-blowing, and that’s an understatement. More than 5000 people thronged to the Open Air Theater at IIT Madras – a campus known for it’s sheer size and natural beauty – and were entertained by some out-of-this-world music by Demonic Resurrection and Motherjane, who opened for Opeth. After an agonizing wait, Opeth finally kicked off, and for the next three hours, it was a sound fest. I Was There! Long Live Rock! Monday morning proved to be undoing of my well-laid plans and I just did not get a bus ticket back to Bangalore. All the buses were filled and I was too broke to afford a flight. 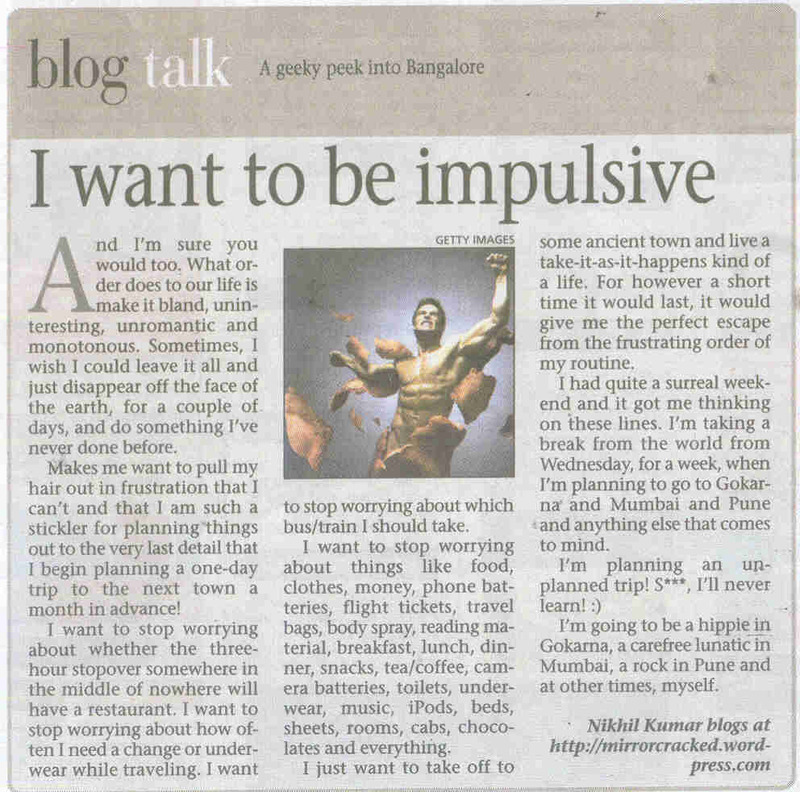 I controlled my rising panic and went to meet all the bloggers from Chennai, whom I’d ditched once for a meet. It was an amazing afternoon, where I demonstrated my culinary skills with some mouth-watering Biryani that would put the greatest chefs to shame. I met Vimal, Aaarti, Archie, Aparna, Apar, Bhar, Praddy, Sharada, Nautankey and three non-bloggers – Vikram, Arvind MN and Guha. I got tipsy with some fine Jack Daniels and realized that it was too late for me to reach Bangalore in time to meet Shefaly. I owe her an apology. I reached Bangalore this morning at 4:30 and slept for a coupe of hours and returned to the monotony of my professional life. I got a pleasant surprise, when I realized that Bangalore Mirror had featured MirrorCracked again! So, I’d say that it has been a good weekend which could’ve been great if everything on my list went according to the plan. But, that’s life. First of all congrats (again) for your post being featured on BM! 😉 And I guess the concert was awesome. Gosh! I could have made it too. (Thanks to my college 😐 )But that’s ok coz there’s Iron Maiden coming next month 😉 Planning to go for that? who the editor of that daily? someone show them the mirror! Hey why are you blaming the poor government employee? You probably were drunk to realise that you had to get the change! Special buses are always a pain in the a$$. They are special for all the wrong reasons. The biriyani was awesome man ! We appoint you as our official cook for all the Blogger meets henceforth ! The ‘Confidential Report’ of drivers and conductors of the government buses should be filled by the passengers.If their increments and bonus will depend on passenger comments they will be punctual and courteous both. Hey Cool Man, congrats, and wish I was there for the Opeth concert…sounds like you guys rocked !!! You know, KSRTC has lame employees who always shirk away from responsibilities. A friend of mine was once molested by a fellow passenger and when she requested the conductor to move his seat, they refused!